Digital dentistry, at its most basic, simply refers to dentistry that is enhanced or assisted by computer technology. At our office, we utilize many of these advanced technologies to improve patient safety, satisfaction, and overall experience. During your next routine visit, we would be happy to discuss the technology we continue to implement in our efforts to ensure optimal patient satisfaction. Technology is a part of our office, with appropriate services made available to allow for the optimal protection and perfection of each patients’ smile. While some, like digital imaging, may be used more frequently, technologically advanced treatments remain available as needed and can serve as both emergency services or for long-term smile perfection. How technology will be used for the benefit of your smile can best be determined during your next visit to our Aurora office. Our commitment to providing advanced treatments has much to do with our commitment to ensuring patient safety and satisfaction. We utilize digital dentistry to help protect patient comfort and reduce risks associated with certain general, cosmetic, or restorative dentistry procedures. These steps allow us to provide you with the most rewarding experience possible. Highpoint Dental Care provides a welcoming, comfortable, and safe environment for for people of all ages, we welcome families. Our advanced digital dentistry services enable us to improve outcomes, reduce trauma, and eliminate multiple repeat visits, all while making the perfection of your smile that much easier. During your next visit to our office, we will discuss our technology as appropriate (or answer questions if you are curious about specific equipment) to help you choose the treatments best suited to meet your needs. 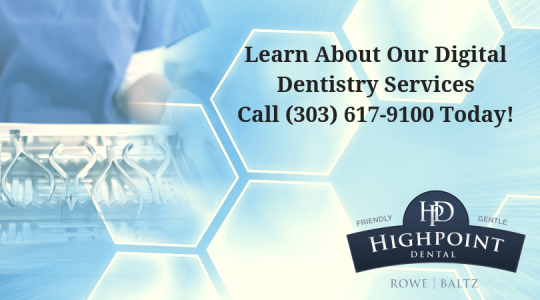 Call 303-617-9100 to schedule your next appointment at Highpoint Dental. 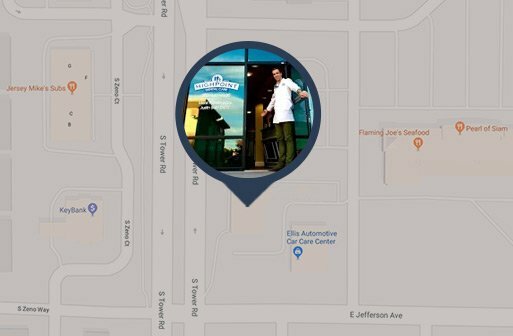 Located in Aurora, we provide advanced digital dentistry services to families living in Centennial, Parker, Green Valley Ranch, and all surrounding areas of Colorado.